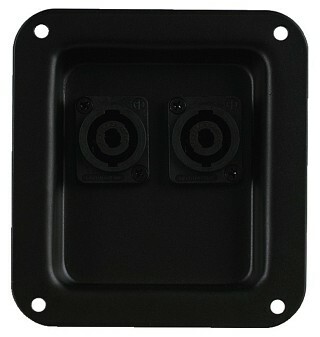 Enlarge PA terminal, (plastic) with 2 x SPEAKER connector. 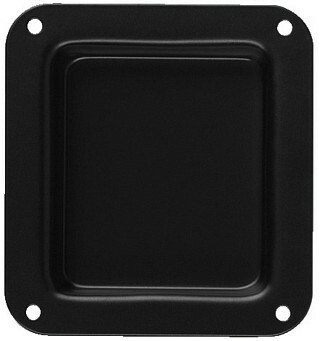 Enlarge Terminals For building PA speaker systems and for general use, flush mounting, assembled or as recessed connector plates with drill holes, robust steel version, black lacquered. PA terminal, with 2 x Speakon connector. 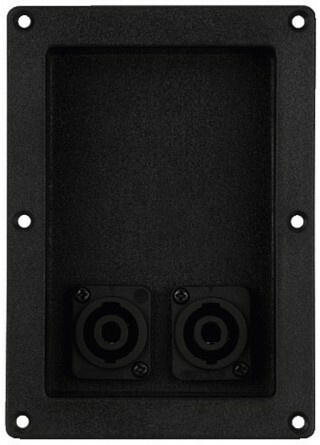 Enlarge Terminals For building PA speaker systems and for general use, flush mounting, assembled or as recessed connector plates with drill holes, robust steel version, black lacquered. PA terminal, for individual use. 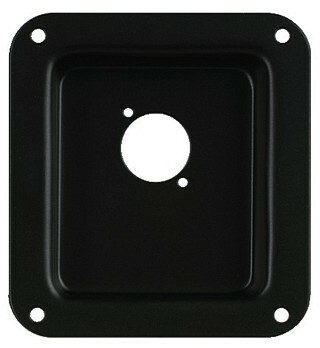 Enlarge Terminals For building PA speaker systems and for general use, flush mounting, assembled or as recessed connector plates with drill holes, robust steel version, black lacquered. PA terminal, for 2 x Speakon, without connectors. 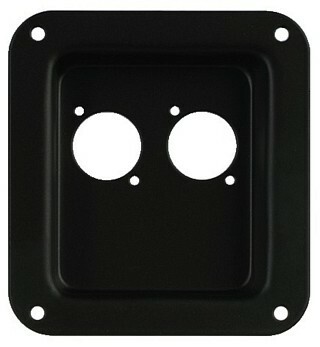 Enlarge Terminals For building PA speaker systems and for general use, flush mounting, assembled or as recessed connector plates with drill holes, robust steel version, black lacquered. PA terminal, for 1 x Speakon, without connectors.